Too much good fortune can make you smug and unaware. Happiness should be like an oasis, the greener for the desert that surrounds it. There was no reality to pain when it left one, thought while it held one fast all other realities failed. One of the pleasantest things about book writing is that sometimes it brings one in touch with old friends. I’ve seen public opinion shift like the wind and put out the very fire it lighted. 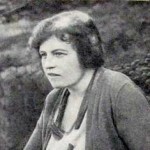 Rachel Lyman Field was an American novelist, poet, and children's fiction writer. She is best known for Newbery Award winning Hitty, Her First Hundred Years. Field also won a National Book Award, Newbery Honor award and two Lewis Carroll Shelf Awards.